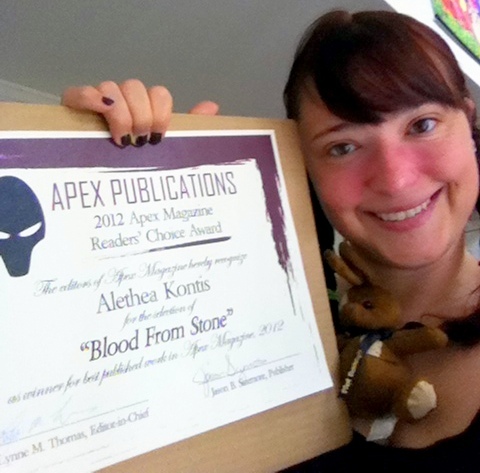 This entry was written by Princess Alethea and posted on May 26, 2013 at 8:22 am and filed under awards, Short Stories. Bookmark the permalink. Follow any comments here with the RSS feed for this post. Congrats! The Apex award is quite special. I’m sure there will be lots more awards in your future.